The Roma Sofa by Daytona provides a relaxing space for all the family. The modular sofa is composed of a two-seater section and single armchair. Created on an angle to encourage conversation, the sofa includes an end storage unit for books and magazines as well as an integrated side table for drinks and nibbles. Upholstered in high quality leather, this sofa epitomises luxury, elegant surface detailing and hand-stitching. The framework is covered by a thick layer of soft goose down for maximum comfort. 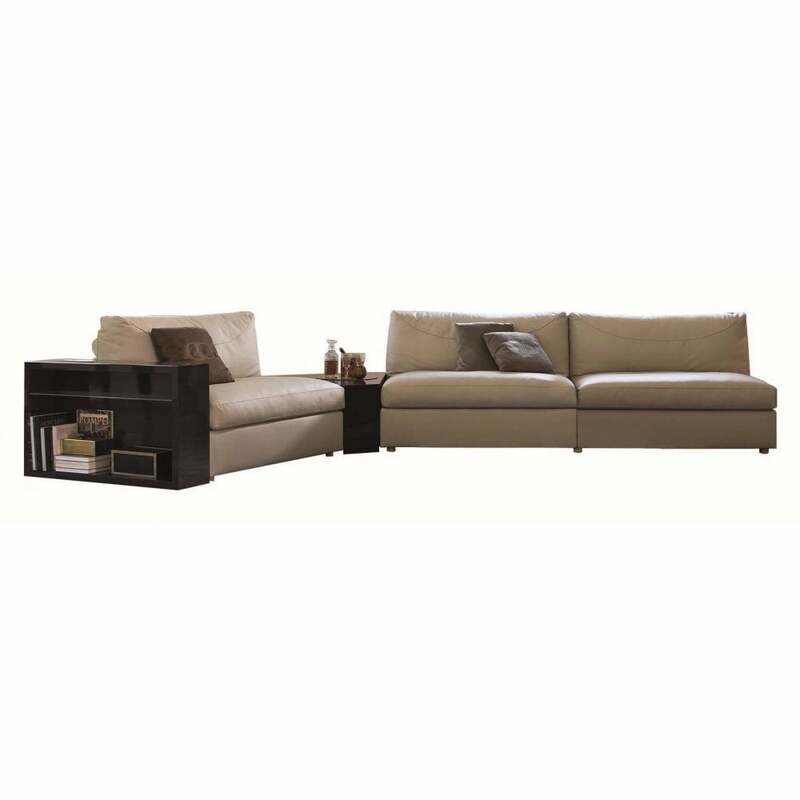 Roma is available in a range of high quality fabric or nubuck leather. Choose from a 1930s palette of moss green, mink and chocolate. Make an enquiry for more information.